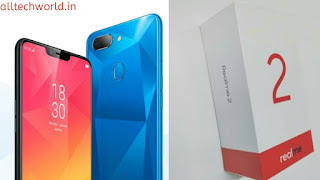 Home / Realme / Realme 2 / Realme 2 Price / Realme Launch Date / smartphone / Realme 2: Realme 2 Retail Box Leak | Realme 2 Specifications? Realme 2 Launch Date? Realme 2 Fingerprint? Realme 2: Realme 2 Retail Box Leak | Realme 2 Specifications? Realme 2 Launch Date? Realme 2 Fingerprint? 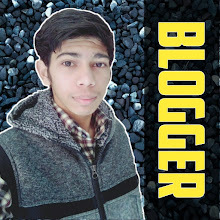 Oppo Ke Sub-Brand Company Realme Jald Hi Apna Dusra Budget Smartphone Realme 2 Launch Karne Ja Rahi Hai. Company Ki Website Par Realme 2 Ka Teaser Bhi Jari Hi Chuka Hai. Or Wahi GsmArena Website Par Realme 2 Ka Retail Box Dekha Gya Hai. Realme 2 Ke Teaser Ko 'A Notch Above' Title Ke Sath Launch Kiya Gya Tha. Isse Ye Toh Maloom Hota Hai Ki Realme 2 Me Apko Notch Dekhne Ko Milegi. Realme 2 Me Apko Realme 1 Ki Tarah Hi Diamond Cut Design Dekhne Ko Milega. Realme 2 Me Apko Dual Rear Camera Dekhen Ko Milenge. Baat Kare Fingerprint Scanner To Jaha Tak Umeed Hai Apko Realme 2 Fingerprint Scanner Dekhne Ko Milega. Or Kuch Jaida Specifications Or Launch Date Ke Baare Me Jankari Ujager Nhi Ki Gyi Hai. Hameri Site Ki Notification Allow Kare. Or Newsletter Ko Subscribe Kare. Taki Rahe Har Pal Tech Jagat Se Update. Ye Bhi Pade :- Xiaomi Poco Phone F1 Launch Date? Poco F1 Specifications? Poco F1 Flipkart? Poco F1 Price? Poco F1 Snapdragon 845?